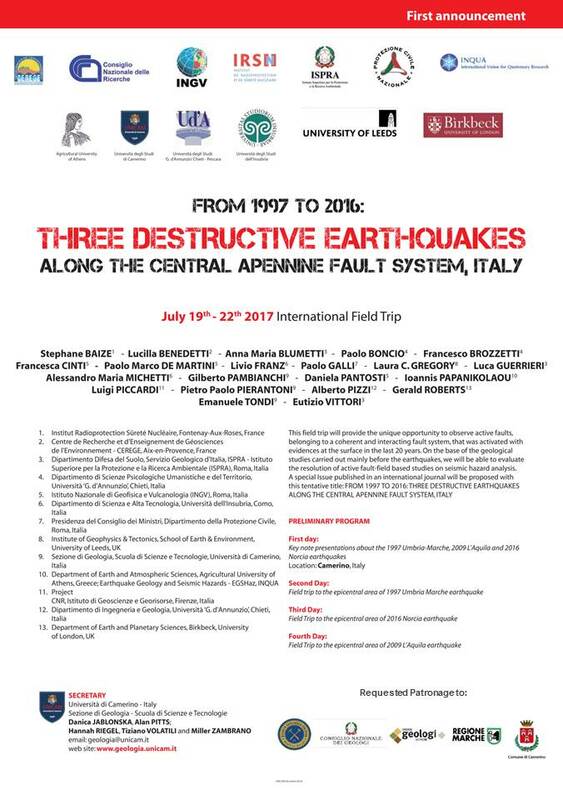 If you are interested in visiting the epicentral areas of the recent earthquakes in the Central Apennines, Italy, this is your chance: A four days field trip will be held from 19-22 July, 2017, led by researchers who have studied the earthquake effects in detail. The trip focusses on the fault system that ruptured during the 1997 Umbria Marche, 2009 L’Aquila, and 2016 Norcia events. The trip is organised by scientists from Italy, France, UK, and Greece, and supported by a number of universities, state agencies, and INQUA, with the Università di Camerino as the main coordinator.